"Nach Re Amar Maan" - Vaisesika Das & Nirakula devi dasi are Back! ~ The Toronto Hare Krishna Temple! 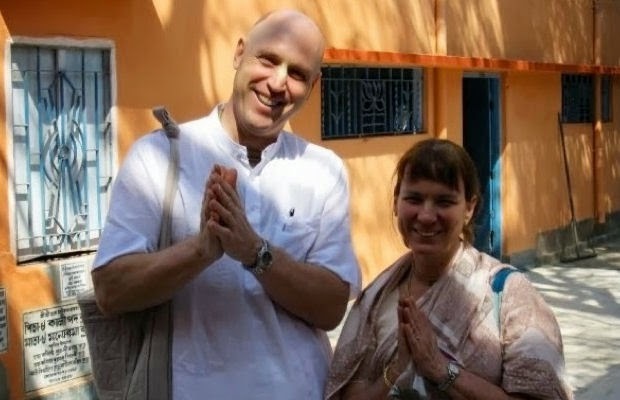 "Nach Re Amar Maan" - Vaisesika Das & Nirakula devi dasi are Back! Though the snow has left, every once in a while Toronto's Hare Krishna Centre is hit with flurries... flurries of excitement and frenzy as we welcome our beloved Vaisesika prabhu and Nirakula mataji back to town! Though they hail from sunny California, they have become a huge part of our Toronto family and they have plenty of programs lined up for a week of spiritual bliss! Please see below for the schedule of events for the week of May 13-18 and we hope that you can join us for these events! Sankirtan Outing on the Streets of Toronto! Hare Krishna. Is the bhajan night going to be broadcast live by any chance?? Yes, the event was broadcasted! We hope you were able to catch it online!